Okay, I'll admit it. I like vegetables pretty plain. A little salt, some butter, and I'm good. Maybe some lemon juice. But that's about it, most of the time. That doesn't mean I don't like seasoned vegetables. It's just that most of the time I'm spending my time (and creativity) on the main dish, and I don't want the vegetables to compete. This time, though, I decided to try some crazy broccoli from the cookbook Spices and Seasons. Not only does this have a lot of flavor, it's got some extra color thanks to the red onions. The original recipe included 1/2 cup of toasted cashews tossed on top of the broccoli before serving. I didn't add them, but feel free. Other nuts would be good, too. I'm thinking walnuts or pecans would be tasty. And the nuts would add a nice crunch to the dish. I might give that a try next time. 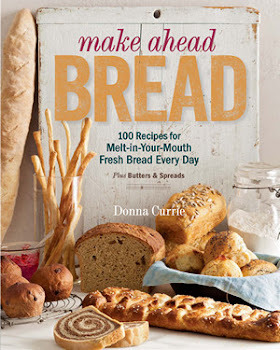 Meanwhile, I've got a whole lot of other recipes bookmarked to try later, including more vegetables, chicken, lamb, and even bread. What I like about this book is that although the recipes have Indian flavors, they're accessible to most home cooks - the recipes aren't too complicated, and the ingredients are all pretty easy to find. So you can plan on cooking something and actually make it after a quick shopping trip rather than having to go on a treasure hunt. 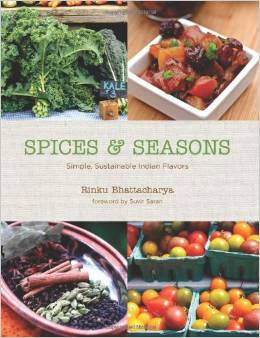 And, although you can now find a lot of the spice mixes you need at spice shops, this book has recipes for blending your own, if that's what you want to do. Or, at least you'll know what in them. Heat the oil in a large skillet on medium heat for about 30 seconds, then add the onion and cook for a few minutes, then add the sugar and continue cooking until the onion softens and begins to brown a bit. Stir in the ginger and garlic and cook for another minute or so until they're golden - but watch carefully and stir often so you don't burn them. Add the broccoli and salt. Continue cooking, stirring as needed, until the broccoli is done to your liking. Add the red pepper flakes and lime juice, stir and cook for just a few moments more. Serve hot.